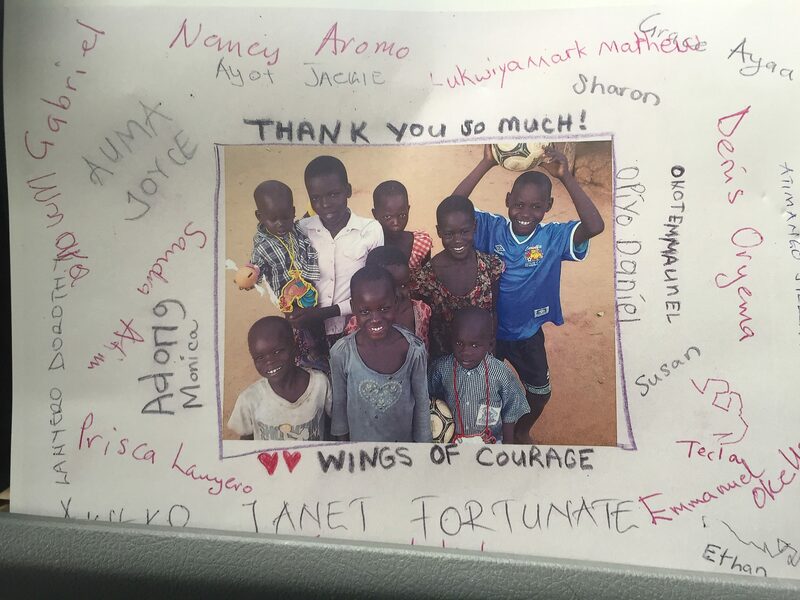 We were delighted to donate a laptop to Wings of Courage (WOC). This donation will be used to allow direct connection with some staff working on a project in Uganda. They are a charitable organization dedicated to strengthening vulnerable communities in Uganda by providing emotional support and the provision of basic needs to orphans and child-headed households. WOC works to promote the understanding and awareness of the importance of holistic healthy development and the protection of children’s rights so that these children develop to their full potential, along a path that they have created with us, free from hunger and want, neglect and abuse. The idea of WOC started back in 2003 when their founder, Lena Gilbert was working on the African continent for the first time. It was then that she started noticing gaps in services leaving so many vulnerable children left without any support. It was in Ghana where she met a young boy who she named Courage. He was such an inspiration. He was living proof of the inner strength that the African people have. We wish them all the best for the future! If you are a non-profit organization in need of IT equipment, please visit our website here.